Lighting is vital for any room in the home but getting it right in the kitchen could possibly be the most important design choice you can make. When designing a new kitchen or installing new light fittings, you must look at precisely what activities are done in which areas of the room. This is key as it can help to manage the fine balance between lights that illuminate large areas and specific task lighting. If you find it tricky to imagine where your lights need to be positioned, get hold of a free kitchen planner. Visibility is increased not by how much light there is in the room, but the exact contrast between light and dark. This is where task lighting is important above areas in which you perform intricate tasks like chopping and dicing food. 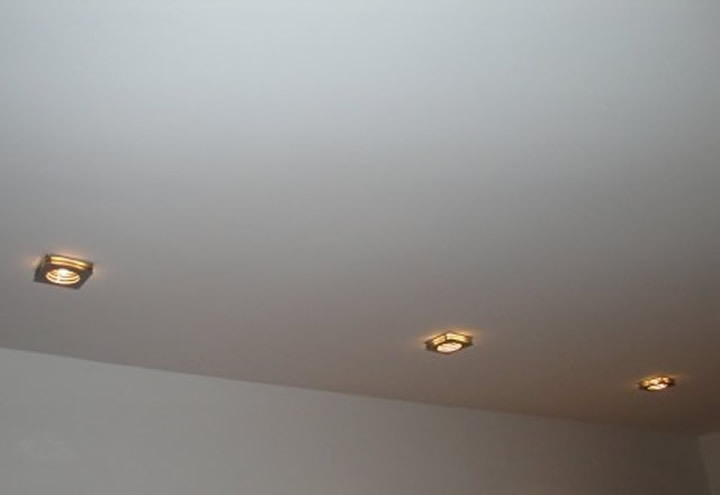 Recessed spotlights are a great way to create specific illumination over an area and, because they are sunk into the ceiling, they are not noticeable until you use them. Installing the light fitting is easiest if you have access from above the ceiling but this is certainly not essential, so don't be put off if you're not a DIY fanatic! Using a drywall circle cutter is the best option to create the hole for the spotlights to rest in. There are plenty of different home kits that take you through installing these types of light, which can make a big difference to the efficiency of the lighting in your kitchen. If you have a dining area in your kitchen, then strategic lighting can highlight this focal point of the room. Some drop down lighting draws attention to the dining area and works really well at illuminating the area, especially with a high ceiling. Of course, if you have the space on kitchen work surfaces and dining tables, there are thousands of different lamps that can add fully adjustable light to the room. These are just a few of the ways that you can try to get the balance right between task lighting and general lighting, which will make your kitchen shine out above the rest.